Standard Diagnostics develops rapid diagnostic tests that make it possible to diagnose various diseases at an earlier stage. Its portfolio includes in vitro diagnostic tests for malaria, dengue, HIV and syphilis. 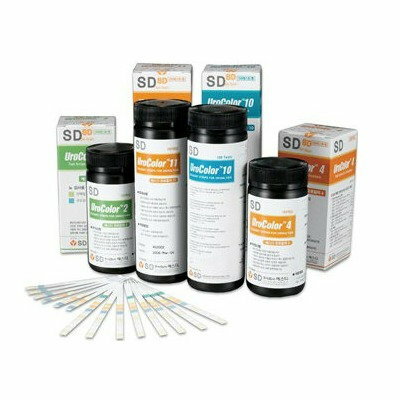 The SD UroColor is a rapid diagnostic test for measuring blood, bilirubin, urobilinogen, ketone, protein, nitrite, glucose, pH, specific gravity, leucocytes and ascorbic acid in urine. It ensures clear positive and negative results, good resistance to humidity and no color change after testing is completed.